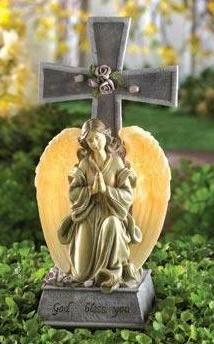 Add this blessed cross solar angel light to you garden, patio, deck, memorial area, or window sill to accent your outdoor area. 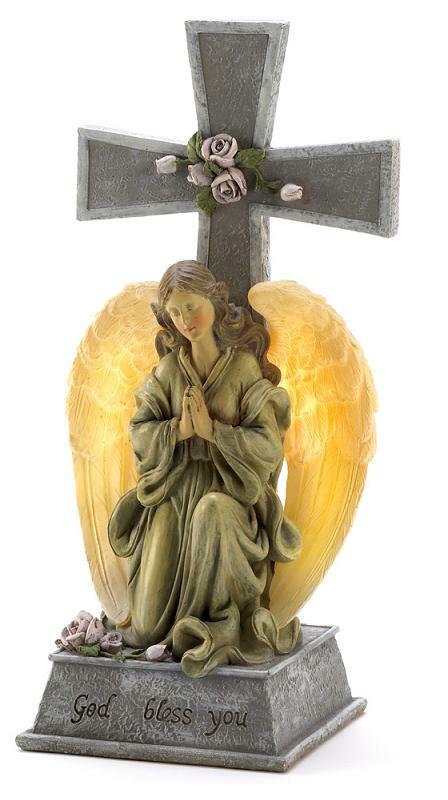 This faux stone angel and cross statue is beautiful to behold by day; then at night, a hidden solar light in the angels wings illuminates a comforting glow upon your special space. The solar panel collects sunlight during the day to charge the rechargeable AA Ni-Cad batteries (included and installed), then when night falls the light will automatically illuminate providing hours of enjoyable decorative lighting.